All of our stock labels have permanent adhesive and are approved by the standards institute ISEGA for contact with dry and moist non fatty foods. Check our existing label sizes to see the large range of labels we have on hand, usually for same day despatch. We also have a vast range of cutters so if the label size you need is not on the shelf we can still have it ready to ship quickly. Commonly used for short shelf life labelling, direct thermal labels are ideal for fresh food and other short shelf life labelling requirements. Please ask for samples if you would like to evaluate our labels. Weyfringe labels are suitable for overprinting GS1 barcodes and as GS1 UK Accredited Industry Partners we have fully trained sales engineers able to advise on the best way to meet barcode label standards and help with any barcode printing questions you may have. Weyfringe also supply custom shapes, sizes, coloured and pre-printed self-adhesive labels so if you need a label creating to suit your house style just call us on 01642 490121 or ask for a quote. Thermal Transfer & Direct Thermal – What is the difference? 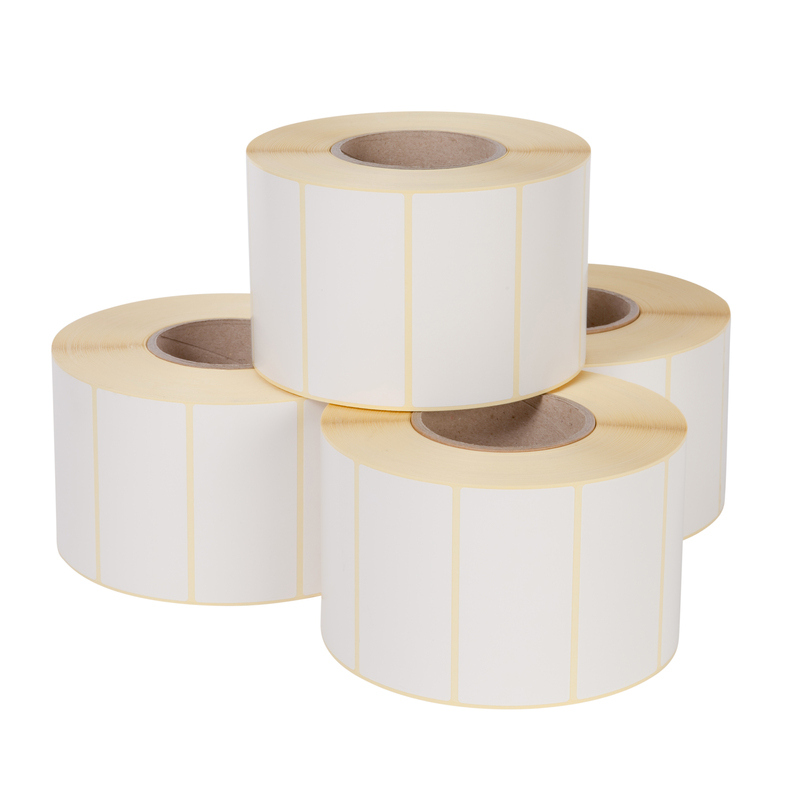 Thermal transfer labels require your printer to be fitted with a ribbon and it is the ink from this ribbon which is transferred using heat from the printhead to create dark and vibrant print with a long lasting finish. Various label and ribbon combinations can be used to cater for standard carton labelling to mission critical serial number labels to withstand extremes of use. Our ribbons also have a special smooth coating to minimise printhead wear extending the life of this expensive component. Direct thermal labels do not use a ribbon. Instead the label surface is coated with a heat reactive layer which turns black when in contact with the heat from the printhead. This heat reactive surface will effectively cause the print to fade when exposed to sunlight, strong artificial light or indeed friction (cartons rubbing together in transit for instance) with the speed of fading dependent upon the intensity of the light or friction. For this reason direct thermal labels tend to be used for short shelf life products such as fresh food. 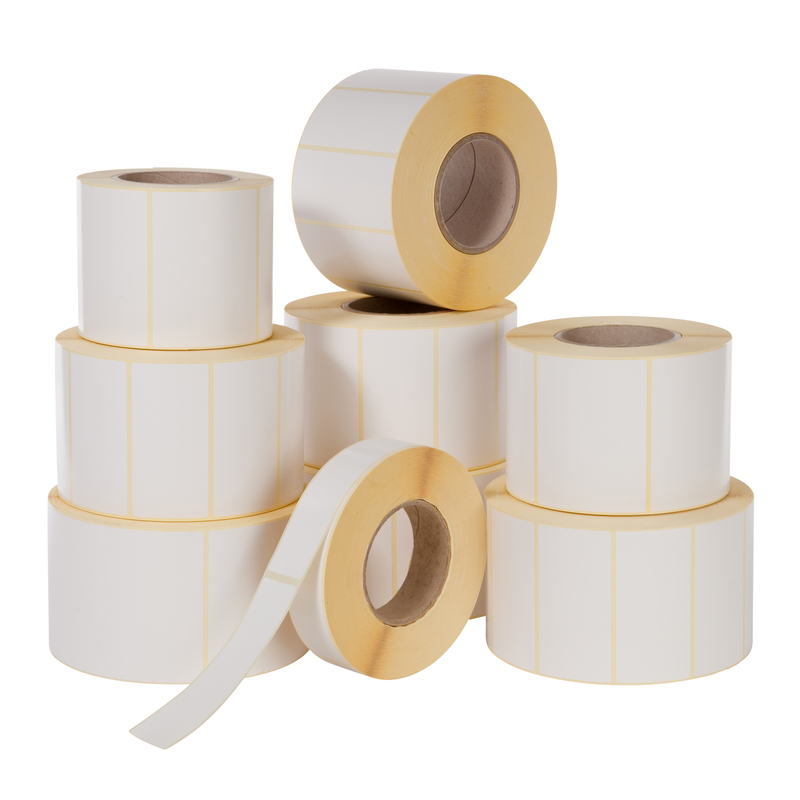 Although there are no ribbon costs associated with direct thermal labels there are others cost implications as without the ribbon acting as a protective insulator between the printhead and the label, the printhead will wear more quickly requiring more frequent replacement.